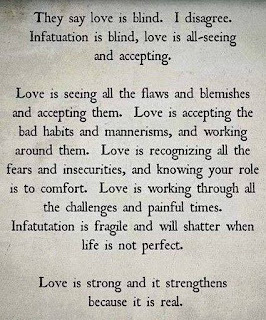 Love is seeing all the flaws and blemishes and accepting them. Love is accepting the bad habits and mannerism, and working around them. Love is recognising all the fears and insecurities and knowing your role is to comfort. Love is working through all the challenges and painful times. 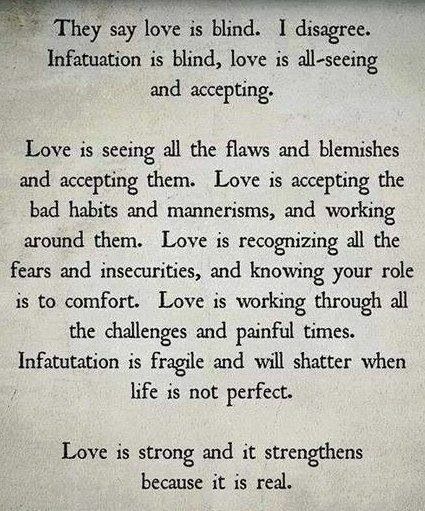 Infatuation is fragile and will shatter when life is not perfect.